The new 105,000-square-foot Berkeley Street location is close to Copley Square. Sports betting giant Draftkings unveiled its new headquarters Tuesday in Boston's Copley Square. Sports betting giant Draftkings unveiled its new headquarters in downtown Boston Tuesday morning. The company’s CEO and founders showed off their new facility in the city's Back Bay neighborhood with a tour and ribbon cutting ceremony attended by Gov. Charlie Baker and other officials. "This is a special day," said Jason Robbins, the founder and CEO of DraftKings. "It’s the first time we’ve actually really had our office." Sports betting giant DraftKings unveiled its new headquarters Tuesday near Copley Square in Boston. Baker and Lt. Gov. Karyn Polito both said the company is an example of how tech companies can be a boost to the state’s economy and workforce. "We can do more around that, talent development in the STEM areas," said Lt. Gov. Karyn Polito. "Continue to provide the talent that’s needed for companies like DraftKings." DraftKings has been trying to expand into the world of legal sports betting. Baker said new legislation expanding betting laws in the state would make that easier. "We talked about whether to do a study around this issue, and then the Supreme Court legalized this for all 50 states, or to simply put a proposal in place to get the debate underway, and we chose to do the latter," the Republican governor said. 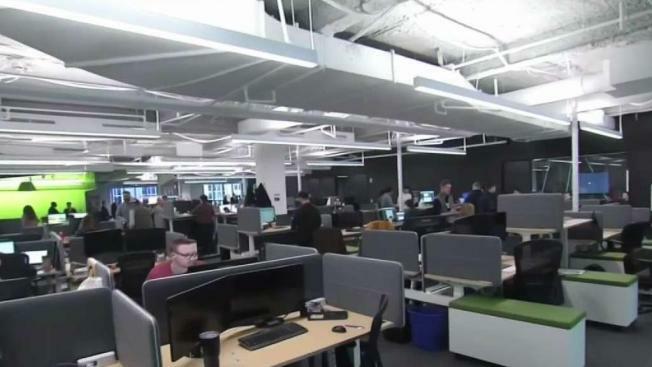 The move comes after the company recently hired more than 400 new employees as part of its expansion. CEO Jason Robins said he is aiming for 1,000 new employees. 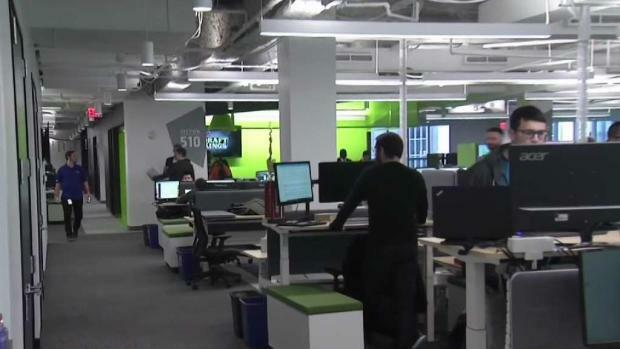 The fantasy sports giant is considered one of Boston’s largest tech companies.